Human subject recruitment is crucial for the success of any clinical trial and can be a challenging to Sponsors and investigators, hence they use four main strategies to recruit human subjects and encourage timely recruitment. Sponsors offer financial and other incentives to investigators to boost enrollment. Investigators target their own patients as potential subjects. Investigators seek additional subjects from other sources such as physician referrals and disease registries. Sponsors and investigators advertise and promote their studies. To achieve timely recruitment for clinical trial the consent process may be undermined when, under pressure of quick recruitment like patients are influenced to participate in research due to their trust in their doctor. Some physicians searching medical records, disease registries, school records, or mailing lists by compromising confidentiality and then contacting a patient about participation. Some times there may be chance of enrollment of Ineligible Subjects in order to meet quotas and satisfy sponsors. Most IRB’s are not reviewing many of the recruitment practices that they and others find most troubling. IRBs’ limited review of recruitment practices is in part due to their perceived lack of authority to review certain practices in their own oversight of research sites, sponsors pay minimal attention to how human subjects are recruited. IRBs should concentrate on human subject recruitment consent process; how they are enrolled in to study and human subject protection and confidentiality is maintained. Few recommendations suggested by the Department of Health and Human Services in its report can be adopted to ensure essential human-subject protections without unnecessarily slowing the pace of research and discovery. IRB should be provided with direction regarding oversight of recruitment practices. IRB should be given authority to review recruitment practices, Regulatory bodies should disseminate guidance explicitly stating this authority based on IRBs’ established authority to ensure informed consent and review anything related to human-subject protections. Regulatory bodies should also suggest a recruitment question to the IRB’s that they should address in their protocol reviews and should foster discussion about these issues. • Is it acceptable for sponsors to offer bonuses to investigators for successfully recruiting subjects? • Should physicians be allowed to receive fees for referring their patients as potential subjects for a clinical trial? • Should the financial arrangements between sponsors and investigators be disclosed to potential subjects? • Do searching medical records for potential subjects constitute a breach of confidentiality? • Investigators should be educated as a prerequisite for conducting research under regulatory guidelines. • IRBs should develop training program for members. • Require more extensive representation on IRBs of nonscientific and non- institutional members. Such members can help sensitize IRBs to patient concerns about recruitment practices. • All the IRBs should be registered with the Country specific regulatory bodies. Metastasis, the spread of cancer cells from a primary tumour to seed secondary tumours in distant sites, is one of the greatest challenges in cancer treatment today. For many patients, by the time cancer is detected, metastasis has already occurred. Over 80% of patients diagnosed with lung cancer, for example, present with metastatic disease. Few patients with metastatic cancer are cured by surgical intervention, and other treatment modalities are limited. Across all cancer types, only one in five patients diagnosed with metastatic cancer will survive more than 5 years. (1,2). Metastatic cancer is cancer that has spread from the place where it first started to another place in the body. The most common sites of cancer metastasis are the lungs, bones, and liver. Treatment for metastatic cancer usually depends on the type of cancer and the size, location, and number of metastatic tumors. Local invasion: Cancer cells invade nearby normal tissue. Intravasation: Cancer cells invade and move through the walls of nearby lymph vessels or blood vessels. Circulation: Cancer cells move through the lymphatic system and the bloodstream to other parts of the body. The ability of a cancer cell to metastasize successfully depends on its individual properties; the properties of the noncancerous cells, including immune system cells, present at the original location; and the properties of the cells it encounters in the lymphatic system or the bloodstream and at the final destination in another part of the body. Not all cancer cells, by themselves, have the ability to metastasize. In addition, the noncancerous cells at the original location may be able to block cancer cell metastasis. Furthermore, successfully reaching another location in the body does not guarantee that a metastatic tumor will form. Metastatic cancer cells can lie dormant (not grow) at a distant site for many years before they begin to grow again, if at all. Although cancer therapies are improving, many drugs are not reaching the sites of metastases, and doubt remains over the efficacy of those that do. Methods that are effective for treating large, well-vascularized tumours may be inadequate when dealing with small clusters of disseminated malignant cells. We expect that the expanding capabilities of nanotechnology, especially in targeting, detection and particle trafficking, will enable novel approaches to treat cancers even after metastatic dissemination. Lymph nodes, which are linked by lymphatic vessels, are distributed throughout the body and have an integral role in the immune response. Dissemination of cancer cells through the lymph network is thought to be an important route for metastatic spread. Tumor proximal lymph nodes are often the first site of metastases, and the presence of lymph node metastases signifies further metastatic spread and poor patient survival. Lymph nodes are small, bean-shaped organs that act as filters along the lymph fluid channels. As lymph fluid leaves the organ (such as breast, lung etc) and eventually goes back into the bloodstream, the lymph nodes try to catch and trap cancer cells before they reach other parts of the body. Having cancer cells in the lymph nodes suggests an increased risk of the cancer spreading. It is thus very important to evaluate the involvement of lymph nodes when choosing the best possible treatment for the patient. Although current mapping methods are available such as CT and MRI scans, PET scan, Endobronchial Ultrasound, Mediastinoscopy and lymph node biopsy, sentinel lymph node (SLN) mapping and nodal treatment in lung cancer remain inadequate for routine clinical use. Certain characteristics are associated with preferential (but not exclusive) nanoparticle trafficking to lymph nodes following intravenous administration. Targeting is often an indirect process, as receptors on the surface of leukocytes bind nanoparticles and transfer them to lymph nodes as part of a normal immune response. Several strategies have been used to enhance nanoparticle uptake by leukocytes in circulation. Coating iron-oxide nanoparticles with carbohydrates, such as dextran, results in the increased accumulation of these nanoparticles in lymph nodes. Conjugating peptides and antibodies, such as immunoglobulin G (IgG), to the particle surface also increases their accumulation in the lymphatic network. In general, negatively charged particles are taken up at faster rates than positively charged or uncharged particles. Conversely, ‘stealth’ polymers, such as polyethylene glycol (PEG), on the surface of nanoparticles, can inhibit uptake by leukocytes, thereby reducing accumulation in the lymph nodes. Lymph node targeting may be achieved by other routes of administration. Tsuda and co-workers reported that non-cationic particles with a size range of 6–34nm, when introduced to the lungs (intrapulmonary administration), are trafficked rapidly (<1 hour) to local lymph nodes. Administering particles <80 nm in size subcutaneously also results in trafficking to lymph nodes. Interestingly, some studies have indicated that non-pegylated particles exhibit enhanced accumulation in the lymphatics and that pegylated particles tend to appear in the circulation several hours after administration. Over the last twenty years, sentinel lymph node (SLN) imaging has revolutionized the treatment of several malignancies, such has melanoma and breast cancer, and has the potential to drastically improve treatment in other malignancies, including lung cancer. Several attempts at developing an easy, reliable, and effective method for SLN mapping in lung cancer have been unsuccessful due to unique difficulties inherent to the lung and to operating in the thoracic cavity. Current methods for SLN identification involve the use of radioactivity-guided mapping with technetium-99m sulfur colloid and/or visual mapping using vital blue dyes. Unfortunately these methods can be inadequate for SLN mapping in non-small cell lung cancer (NSCLC) The use of vital blue dyes is limited in vivo by poor visibility, particularly in the presence of anthracotic mediastinal nodes, thereby decreasing the signal-to-background ratio (SBR) that enables nodal detection. Similarly, results with technetium-99m sulfur colloid have been mixed when used in the thoracic cavity, where hilar structures and aberrant patterns of lymphatic drainage make detection more difficult. Although Nomori et al. have reported an 83% nodal identification rate following a preoperative injection of technetium-99 colloid, there is an associated increased risk of pneumothorax and bleeding with this method. Further, the recently completed CALGB 140203 multicenter Phase 2 trial investigating the use of intraoperative technetium-99m colloid found an identification rate of only 51% with this technique. Clearly a technology with greater accuracy, improved SBR, and less potential risk to surgeon and patient would be welcome in the field of thoracic oncology. Near-infrared (NIR) fluorescence imaging has the potential to meet this difficult challenge. NIR light is defined as that within the wavelength range of 700 to 1000 nm. Although NIR light is invisible to the naked eye, it can be thought of as “redder” than UV and visible light. In addition, imaging can also be affected by photon scatter, which describes the reflection and/or deflection of light when it interacts with tissue. Scatter, on an absolute scale, is often ten-times higher than absorption. However, the two major types of scatter, Mie and Rayleigh, are both reduced in the NIR, making the use of NIR wavelengths especially important for the reduction of photon attenuation. Additionally, optical imaging techniques, such as NIR fluorescence, eliminate the need for ionizing radiation. This, combined with the availability of a NIR fluorophore already FDA-approved for other indications and having extremely low toxicity (discussed below), make this a potentially safe imaging modality. The main disadvantage is that it’s invisible to the human eye, requiring special imaging-systems to “see” the NIR fluorescence. The Fluorescence-Assisted Resection and Exploration (FLARE™) system ()- developed by the authors’ laboratory utilizes NIR light-emitting diode (LED) excitation, eliminating the need for a potentially harmful laser. Additionally, the FLARE™system has the advantage of being able to provide simultaneous color imaging, NIR fluorescence imaging, and color-NIR merged images, allowing the surgeon to simultaneously visualize invisible NIR fluorescence images within the context of surgical anatomy. The ideal contrast agent for SLN mapping would be anionic and within 10–50 nm in size in order to facilitate rapid uptake into lymphatic vessels with optimal retention within the SLN. Due to the lack of endogenous NIR tissue fluorescence, exogenous contrast agents must be administered for in vivo studies. The most important contrast agents that emit within the NIR spectrum are the heptamethine cyanines fluorophores, of which indocyanine green (ICG) is the most widely used, and fluorescent semiconductor nanocrystals, also known as quantum dots (QDs). ICG is an extremely safe NIR fluorophore, with its only known toxicity being rare anaphylaxis. The dye was FDA approved in 1958 for systemic administration for indicator-dilution studies including measurements of cardiac output and hepatic function. Additionally, it is commonly used in ophthalmic angiography. When given intravenously, ICG is rapidly bound to plasma albumin and cleared from the blood via the biliary system. Peak absorption and emission of ICG occur at 780 nm and 830 nm respectively, within the window where in vivo tissue absorption is at its minimum. ICG has a relatively neutral charge, has a hydrodynamic diameter of only 1.2 nm, and is relatively hydrophobic. Unfortunately, this results in rapid transport out of the SLN and relatively low fluorescence yield, thereby decreasing its efficacy in mapping techniques. However, noncovalent adsorption of ICG to human serum albumin (HSA), as occurs within plasma, results in an anionic nanoparticle with a diameter of 7.3 nm and a three-fold increase in fluorescence yield markedly improving its utility in SLN mapping. Several studies have investigated the clinical use of indocyanine green without adsorption to HSA for NIR fluorescence-guided SLN mapping in breast and gastric cancer with good success (9-13). Kitai et al. first examined this technique in 2005 in breast cancer patients, and was able to identify a SLN node in 17 of 18 patients using NIR fluorescence rather than the visible green color of ICG (9). Sevick-Muraca et al. reported similar results using significantly lower microdoses of ICG (10 – 100 μg), successfully identifying the SLN in 8 of 9 patients (11). Similar to these subcutaneous studies, 56 patients with gastric cancer underwent endoscopic ICG injection into the submucosa around the tumor 1 to 3 days preoperatively or injection directly into the subserosa intraoperatively with identification of the SLN in 54 patients (13). Recently, Troyan et al. have completed a pilot phase I clinical trial examining the utility of NIR imaging the ICG:HSA nanoparticle fluorophore for SLN mapping/biopsy in breast cancer using the FLARE™system. In this study, 6 patients received both 99mTc-sulfur colloid lymphoscintigraphy along with ICG:HSA at micromolar doses. SLNs were identified in all patients using both methods. In 4 of 6 patients the SLNs identified were the same, while in the remaining two, lymphoscintigraphy identified an additional node in one patient and ICG:HSA identified an additional SLN in the other. Irrespective, this study demonstrates that NIR SLN mapping with low dose ICG:HSA is a viable method for intraoperative SLN identification. 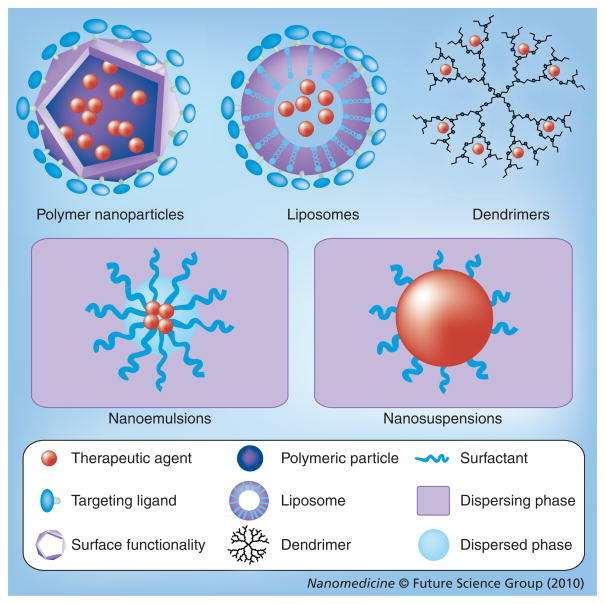 As the importance of micrometastatic lymphatic spread of tumor becomes clearer, there has been much interest in the use of nanoparticles for lymphatic drug delivery. The considerable focus on developing an effective method for SLN mapping for lung cancer is indicative of the importance of nodal spread on overall survival. Our lab is investigating the use of image-guided nanoparticles engineered for lymphatic drug delivery. We have previously described the synthesis of novel, pH-responsive methacrylate nanoparticle systems (14). Following a simple subcutaneous injection of NIR fluorophore-labeled nanoparticles 70 nm in size, we have shown that we can deliver paclitaxel loaded within the particles to regional draining lymph nodes in several organ systems of Yorkshire pigs while simultaneously confirming nodal migration using NIR fluorescent light. Future studies will need to investigate the ability of nanoparticles to treat and prevent nodal metastases in animal cancer models. 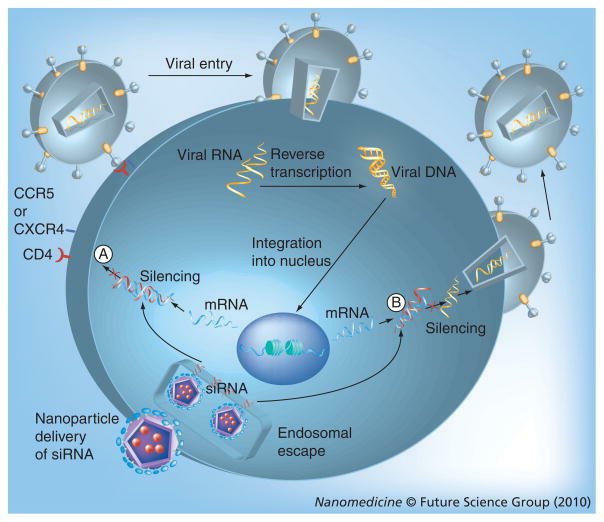 Additionally, the development of tumor specific nanoparticles will potentially allow for targeting of chemotherapy to small groups of metastatic tumor cells further limiting systemic toxicities by narrowing the delivery of cytotoxic drugs. 9. Kitai T, Inomoto T, Miwa M, et al. Fluorescence navigation with indocyanine green for detecting sentinel lymph nodes in breast cancer. Breast Cancer. 2005;12:211–215. 10. Ogasawara Y, Ikeda H, Takahashi M, et al. Evaluation of breast lymphatic pathways with indocyanine green fluorescence imaging in patients with breast cancer. World journal of surgery.2008;32:1924–1929. 11. Sevick-Muraca EM, Sharma R, Rasmussen JC, et al. Imaging of lymph flow in breast cancer patients after microdose administration of a near-infrared fluorophore: feasibility study. Radiology.2008;246:734–741. 12. Miyashiro I, Miyoshi N, Hiratsuka M, et al. Detection of sentinel node in gastric cancer surgery by indocyanine green fluorescence imaging: comparison with infrared imaging. Ann Surg Oncol.2008;15:1640–1643. 13. Tajima Y, Yamazaki K, Masuda Y, et al. Sentinel node mapping guided by indocyanine green fluorescence imaging in gastric cancer. Ann Surg. 2009;249:58–62. While offering greater flexibility, new FDA biosimilar guidelines lack specificity, nothing in the development can be taken for granted. Develop biosimilars that exhibit comparability in every required category and avoid ever having a biosimilar application rejected. With so much at stake, are you 100% confident of demonstrating comparability every time? Demonstrate Biosimilarity will tackle burning issues surrounding naming and pricing policies, originators defence strategies, manufacturing challenges andhow to identify the best target for biosimilar development. Achieve technical insights and obtain cutting edge intelligence from 16 pharma case studies showcasing biosimilar best practise. Attend and gain first hand testimony from the FDA, that combined with this depth of insight will give you the information you need to move quickly and decisively to get your biosimilar approved. Does the FDA biosimilar guidance go far enough? Not if you want to operate with 100% confidence. In fact the FDA still wants to take a cautious case by case approach. Complex biosimilar comparability studies are inherently risky and the consequences of a rejected submission are dramatic. This means that an open dialogue with FDA & other developers is essential. In response to this demand for insight and support we’ve assembled the FDA alongside the industry’s best at Demonstrate Biosimilarity Washington DC (13-14th February). Learn from the testimony of 18 industry speakers including Sandoz, Teva, Wokhardt, GSK, Pfizer, MedImmune, Biogen Idec, Amgen, Novartis, Merck and senior FDA representatives dedicated to answering these questions. This will ensure that you can effectively achieve comparability , demonstrate biosimilarity and avoid costly failed submissions. View the agenda now. How do I assess the level of biological purity needed to match my innovator product and avoid making several submission to regulators? Is it truly possible to achieve interchangeability and how can I convince patients and physicians of the equivalence of my biosimilar and ensure market access? What are the best practises to decrease immunogenicity risk to increase my chances of achieving comparability? Where can I obtain a suitable reference product to allow me to begin characterization? What is the FDA’s current thinking on the criteria for analytical, stability, safety and PK/PD comparability? Download the brochure now to view the full agenda, workshops & speaker line up. This meeting will provide you with unrivalled access to 15 case study lead presentations from pioneering biosimilar and generic drug developers sharing their innovative new approaches. Learn how your peers are decreasing the clinical work required, minimising the impact of immunogenicity, achieving interchangeability and how they define targets for biosimilar development. If that isn’t enough, the FDA will be giving keynote presentations on the regulatory expectations regarding aggregates and comparability as well as minimizing the impact of immunogenicity by understanding the role of protein aggregates in unwanted immunogenicity. 4.45 Comparability and Biosimilarity – Two Sides of the Same (or a Different) Coin? • What different development approaches are companies taking? vs. those in developing countries? • Use of biomarkers in the biocomparability exercise: Are we there yet? • What kind of potential exists for increased efficiency, collaboration and cost-effectiveness in the U.S? Biotechnology and biosimilar products have substantial differences fromchemical entities in their starting materials, manufacturing processes, productcharacteristics, stability profiles, and interactions with containers and closures.Each of these can impact the nature of the impurities present in the finalproduct. This workshop will provide an overview of these differences with links tothe current regulatory expectations and notes on current ‘best practices’for impurities assessment during development. Impurities in Biotechnology/Biosimilar Products – What Makes themCritical? – What are the specific guidance requirements for biosimilar productimpurities? – What elements impact meaningful, reliable specifications for processand product impurities? – How are the risks of impurities managed during development? – What are the key requirements for measuring host cell proteins fromvarious expression systems? – How should host cell protein assays be selected, optimized, and validated? – What types of particulates are of concern? – How do we measure particulates? – How do we identify the extractables and leachables? – How can extractables or leachables affect the product? You will leave this workshop with a detailed understanding of the impact of key impurities in biosimilar development, through case study examples ofeach, to review the current and emerging issues for biotechnology productsassociated with each. You will leave this workshop with a step by step guide to taking a biosimilarthrough clinical development that will minimize the amount of clinical workrequired without compromising the quality or quantity of clinical evidence. Please note that workshop B runs at the same time as workshop C – so you cannot attend both. Workshop C) 12.00 – 15.00: Biosimilars: Is the Risk worth the Reward? You will leave this workshop with all the information you need todevelop an effective commercially viable biosimilar development strategy. You will leave this workshop with a greater understanding of thebiosimilar market place and an actionable biosimilar strategyincorporating the best practises discussed during this case study anddiscussion lead workshop. The executive task of the clinician remains to assess the differentiation in Tumor Response to Treatment. Brücher BLDM, Bilchik A, Nissan A, Avital I & Stojadinovic A. Can tumor response to therapy be predicted, thereby improving the selection of patients for cancer treatment? Future Oncology 2012; 8(8): 903-906 , DOI 10.2217/fon.12.78 (doi:10.2217/fon.12.78) The heterogeneity is a problem that will take at least another decade to unravel because of the number of signaling pathways and the crosstalk that is specifically at issue. It is suggested that the new modality should be based on individualized histopathology as well as tumor molecular, genetic and functional characteristics, and individual patients’ characteristics. The new modality should be based on empirical evidence that translates into relevant and meaningful clinical outcome data. This described reality in the Oncology Operating Room is coupled with new trends in invasive treatment of tumor resection. Minimally Invasive Surgery (MIS) vs. conventional surgery dissection applied to cancer tissue with the known pathophysiology of recurrence and remission cycles has its short term advantages. However, in many cases MIS is not the right surgical decision, yet, it is applied for a corollary of patient-centered care considerations. At present, facing the unknown of the future behavior of the tumor as its response to therapeutics bearing uncertainty related to therapy outcomes. Genetical identification of patients at no need to have a drug administered if non sensitivity to the drug has been predicted by the genetic marker. Treatment for cure is not the endpoint, but the best that can be done is to extend the time of survival to a realistic long term goal and retain a quality of life. Knowing the tumor’s size and location, could we target treatment to THE ROI by applying…..